This idyllic country 5-acre property is home to not one, but two 2/2 cabins. The first cabin, an A-frame with beautiful windows and vaulted ceiling has a bedroom and bathroom on each floor. Enjoy the open great room, or sit in the sun room and enjoy the privacy of this home. Set a little further back, is a wonderful single level, split bedroom plan cabin. 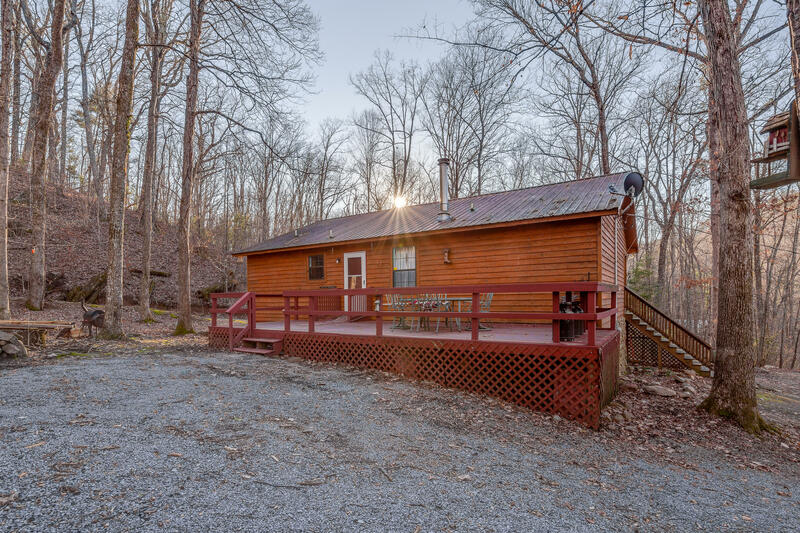 Walk-in Closets, large decks, fire pits, storage sheds and plenty of open and wooded area, makes this a great location as a permanent residence, rental or holiday home. Creek runs through property. Great for extended family living, or rent one and live free. Fresh stain and newer AC units in both. Each cabin has its own septic, with a shared well. Subdivision may be possible.